Special Olympics Unified Champion Schools looks to create more socially inclusive school environments around the country. As we start our 50th Anniversary year, we not only take this opportunity to reflect on all of the successes Special Olympics has had, but we also look to the future as we strive to create an “inclusion revolution”. 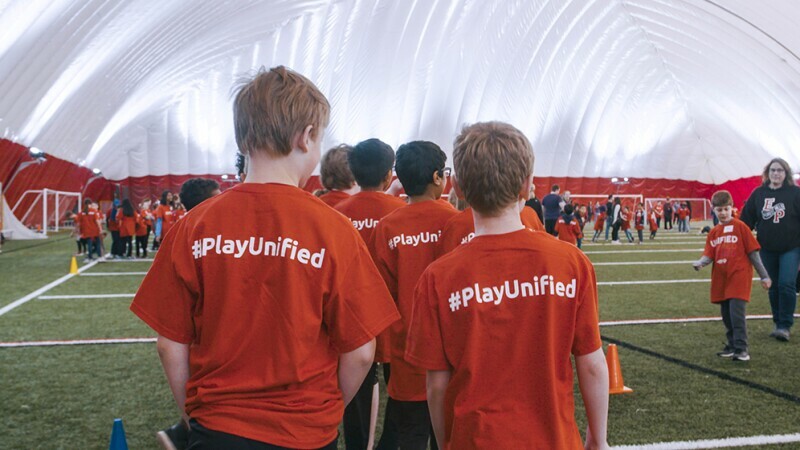 Special Olympics Unified Champion Schools® believes that ending discrimination against people with intellectual disabilities cannot be done without our youth leaders, also known as, The Unified Generation. Talking to youth leaders with and without intellectual disabilities from across the country, we understand that there is a want and a need to connect with each other and share best practices ALL THE TIME; not just at Special Olympics events. To address this need, we have been working diligently with our partner ClickOn Media to build a site to make this dream a reality! With a fresh look and feel, as well as many opportunities for students to directly interact with each other, we hope to build a strong network of youth leaders. This site is known as www.generationunified.org and will be populated with multimedia assets that students can utilize both on their own personal social channels and within their schools to spark new ideas of inclusion.